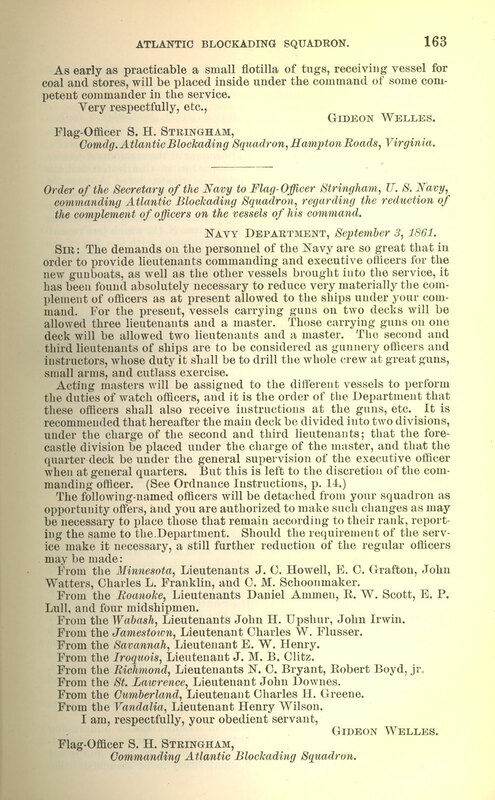 Item description: Instructions from the United States Secretary of the Navy to Flag-Officer S. H. Stringham, U.S. Navy, commanding Atlantic Blockading Squadron, regarding the holding and obstructing of the inlets of North Carolina by sinking vessels loaded with stone. 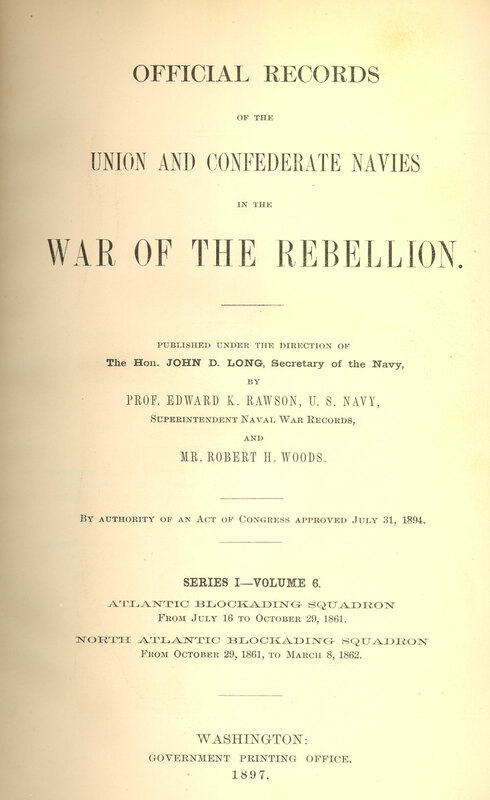 Item citation: Official records of the Union and Confederate Navies in the War of the Rebellion.. Series I, Volume 6. Washington : G.P.O., 1897. C970.75 U58no Ser. I, Vol. 6. North Carolina Collection, Wilson Library, University of North Carolina at Chapel Hill. 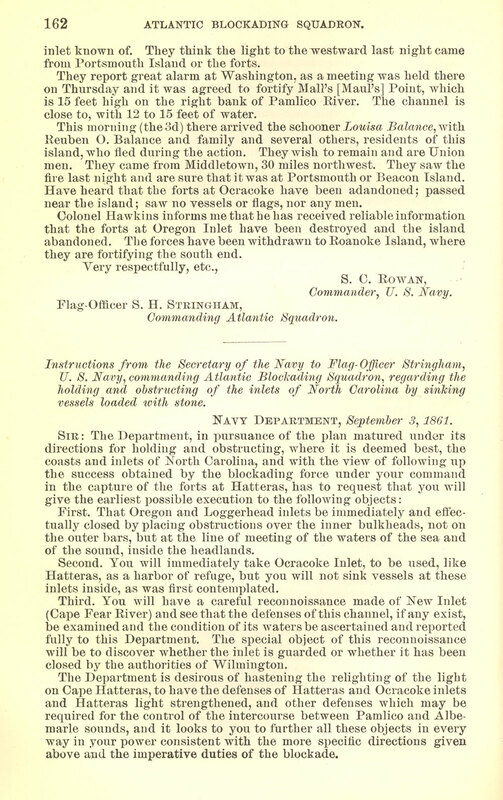 This entry was posted in North Carolina Collection and tagged blockade, Cape Fear River, Confederate Navy, Gideon Welles, Hatteras, Hatteras inlet, Hatteras Island, naval, Ocracoke, S. H. Stringham, United States Navy. Bookmark the permalink.